Musselburgh Medical Centre Ltd is proud of our record maintaining a place at the forefront of general practice in Dunedin, with quality care and a high standard of service. 1. To maintain a friendly, caring, professional relationship with all our patients. 2. To provide a high standard of personalised healthcare for our patients. PLEASE NOTE: Public Health South's advice to general practices in the Southern district is to continue with the usual vaccination schedule at this time. There is no evidence to support Southern DHB promoting early vaccination for measles, as the vaccine is not always effective when given early and will result in children requiring an extra vaccination. Please phone 03 455 4085 to make an appointment. Email:- admin@mbml.co.nz for all non clinical matters. Please DO NOT USE this email address for making or cancelling appointments. Standard appointments are 15 minutes long. Extra time is available on request, or as allocated for specific procedures. Emergencies are given priority. House calls are available if you are unable to attend the surgery. We can schedule regular visits if needed to your home or rest home. Please phone as early in the day as possible to arrange a house call, and let the receptionist know if it is urgent. In an emergency, please dial 111 for an ambulance. After hours care is available at Dunedin Urgent Doctors and Accident Centre. Musselburgh Medical Centre now has an Online Patient Portal where you can make Doctors appointments, request prescriptions , view recalls and from the 1st Feb 2019, view Lab results. 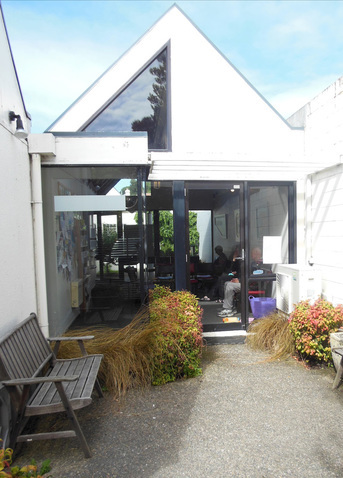 Please see reception on your next visit or ​www.connectmed.co.nz to register. You must be an enrolled patient at Musselburgh Medical Centre. You will need a unique email address to sign up. If someone else in the family has already signed up using a shared email, then you will need to create your own before you can join ConnectMed. If you sign up online you will have immediate level 1 access, where you can make appointments and request prescriptions if you know the name of your medication. You will need to fill out a form at reception and provide a form of ID to have level 2 access which will allow you to request prescriptions from your long-term medication list, see any recalls and to view Lab results online. If you have trouble signing up online it is probably because you have changed your phone number and we have your old one in our system or someone in your family has signed up using a shared email. Please ask Reception to confirm your details. Please Note: Our Doctors have permanent locum Doctors that work sessions for them each week and when on leave. You will need to check your Doctors profile on ConnectMed to see when Locums are working for them. *This can be difficult to see on a smartphone, so if it is important that you see your Doctor not the Locum, it is a suggestion that you make your appointment from another device. To check the Doctors profile, please click on the Doctors name to access full details. This will confirm if your Doctor is working that session. 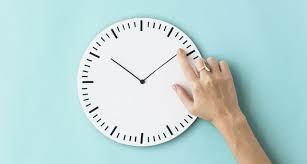 *Some consultations need longer than a normal 15min appointment, for example, Cervical Smear and consultation (prescription requests), or a full medical, these require a 30 min appointment, you can book two consecutive appointments or contact reception to confirm the appointment length required. *Nurse appointments are not able to be accessed on the portal. Please ring reception on Ph 4554085. *Urgent appointments do not appear on the portal, please phone the nurses to be triaged. We are aware that people are busy and that no one likes to be kept waiting. We do our utmost to keep on time, but general practice is unpredictable. Urgent cases have to be given priority. Sometimes people's problems don't fit neatly into a 15 minute appointment, and this creates delays. To minimise delays for others, we ask you to request extra time if you have complicated or time consuming problems. The fee may be adjusted accordingly. If you feel you have been kept waiting an unreasonable time, please let one of our receptionists know. If we know this, we may be able to arrange a more urgent appointment or we can arrange emergency services on your behalf if it is necessary. Your call will most likely be put through to a nurse who will triage appropriately. In general, unless discussed otherwise, we will be in contact with you if results are of concern. If you would prefer to be informed of your results regardless of the result, please discuss this with your doctor. *Please ensure we have your up to date contact details at all times. If you have any complaints about the treatment or service you have received from us we would like to know. Please ask to speak with our Complaints Officer for more information about our complaints process.